I love tomatoes, and my favorite tomato recipe is tomato and mozzarella salad. The tomato is one of the most spread vegetable and is used in almost all cuisines of the world. It is used fresh, in salads, cooked, canned, in soups, stews, etc. Like the vast majority of vegetables, tomatoes have also a low energy value and it is rich in vitamins and minerals. It is considered as one of the richest natural sources of Vitamin C.
Tomato contains all B group vitamins, potassium, magnesium, iron; it has even more iron than chicken meat, fish and milk. Wash the tomatoes and cut it crosswise at the bottom. Place them into the boiling water and immediately after into the cold water. This will they will be way faster and easier to peel. Peel the tomatoes, and cut them into cubes. In a large saucepan, sauté onion in olive oil for a few minutes and add the tomatoes. Simmer about 20 minutes or until it thickens into sauce. Add finely chopped parsley toward the end of cooking. 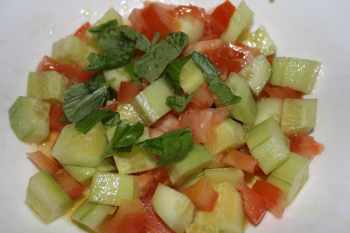 The a larger glass salad bowl place the sliced cucumbers and tomatoes. Add salt to taste. Add the vinegar, olive oil and basil. Stir well and serve. Wash and dry the tomatoes, remove stems and cut them into slices. Also cut Mozzarella into slices. On a tray in a circle, put together alternately sliced tomato and mozzarella. Pour the olive oil and vinegar, sprinkle with basil and season to taste. 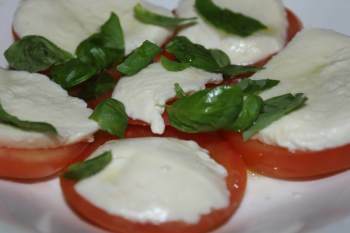 Thus prepared tomatoes and mozzarella you can serve with ciabatta. The easiest way to peel tomatoes is to cut them crosswise, and briefly, put into boiling water. Heat the olive oil in a pan and add garlic, tomatoes and basil. Salt and pepper to taste. Simmer for a few minutes. Put the bread slices on the baking sheet and place them in a preheated oven. Bake for about five minutes at 200 ºC/400 ºF. Put the tomato mixture onto bread slices and garnish with basil leaves. 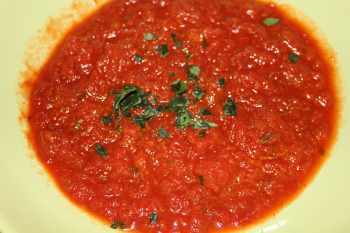 This is a recipe for an easy homemade tomato soup. Cook the onion, carrot, celery and garlic in olive oil until soft. Add the tomatoes and vegetable stock. Cook for 15 minutes. Stir in cooking cream and basil. 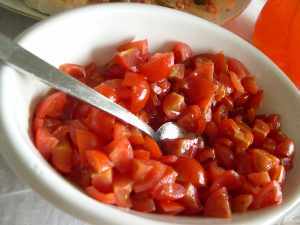 Wash the tomatoes well and cut off the top side (cap) about 1.5 cm/0.5 inch thick. Wash and clean the mushrooms and cut them into thin slices. Drizzle with lemon juice and sauté for 5 minutes in olive oil. Remove from the heat and add the pureed tomatoes and scrambled egg. Stuff tomatoes with this mixture. 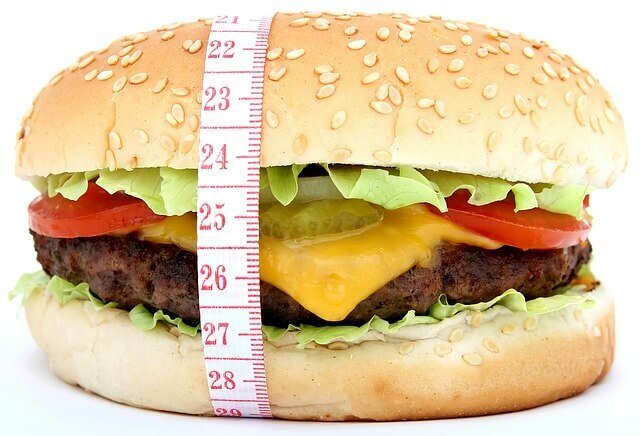 Sprinkle with bread crumbs and additionally salt to taste. Put the cap above and bake in a preheated oven at 200 ºC/400 ºF for about 10 minutes.